15-year-old Kira Noble, from Edinburgh, is battling Neuroblastoma for the fourth time. 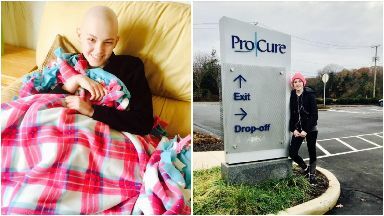 A teenager with a rare form of childhood cancer who travelled to the US for lifesaving treatment has revealed the "devastating" news that it was not successful. 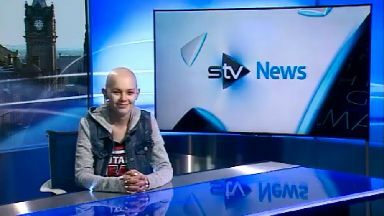 Kira Noble, who is battling Neuroblastoma for the fourth time, delivered the news to her followers on Monday. The 15-year-old had travelled to New Jersey in America for Proton Beam Therapy - a less intrusive form of radiotherapy - late last year. After the treatment she had been feeling "well within herself", however recent tests on the Edinburgh schoolgirl found that the cancer had continued to grow, despite the aggressive therapy. Kira and her family are now waiting to hear from doctors as to what will happen next. 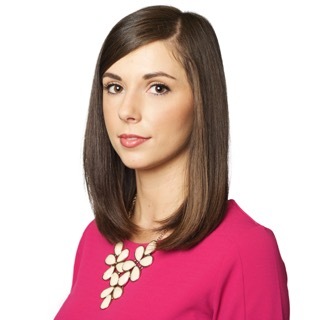 Kira's Facebook page - Kira the Machine - delivered the news to its followers. "During a visit to our oncology clinic, Kira's consultant palpated her abdomen in a routine examination" it said. "She could feel something untoward in the abdominal area. "Scans were brought forward and the latest results show that Kira's cancer continued to grow in the pancreatic area during Proton Beam Therapy and new nodules appeared in the abdominal area. "This now classifies Kira's disease to be refractory and third relapse (her fourth journey with the disease)." In 2018 almost £500,000 was raised in a few short weeks to allow Kira to have life saving surgery on her Neuroblastoma tumour in the US. Because so much money was raised, the £67,000 bill for Proton Beam Therapy was also covered by the fundraising drive. Monday's Facebook post urged people to continue donating to Kira's treatment fund. "Can we meanwhile humbly encourage our family, friends and supporters to continue to raise necessary life saving funds for "Kira's Journey" in any way they can" the post said. "So, if you are considering running a marathon; holding a bake sale etc, please would you consider doing it for Kira's future treatment fund, should she need it. "We need to secure funds in case Kira's disease is resistant to next block of treatment and in case we need to travel overseas again to access a trial . "We may also look into a Preventative Treatment in the future that would give Kira the best chance of stopping her disease from returning." "Although this news is devastating, we thank you all first of all for your continued support. "Figuratively speaking, Kira is undoubtedly swimming against the tide - but I think it's so important to point out that she is indeed still swimming and we believe she will reach the shore - especially with her huge army supporting her." 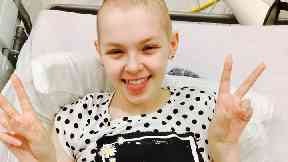 You can support Kira's fund, here: http://solvingkidscancer.org.uk/journey/Kira.